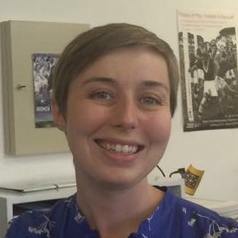 Anne Heffernan is Assistant Professor in the history of Southern Africa at Durham University (UK), and a Research Associate of the History Workshop at the University of the Witwatersrand (South Africa). Her research has focused predominantly on the history of youth and student political movements in what is now Limpopo Province. She has published on the history of youth politics in Limpopo, and nationally in South Africa. Her book Limpopo’s Legacy: Student Politics & Democracy in South Africa (Wits University Press and Boydell & Brewer, 2019) deals with many of these themes.